Red shoes: for guys with guts! At Rehab Footwear we’re not fond of average. Our shoes are classic with an edge, and different. That is why at Rehab you’ll find men’s shoes in colors that you don’t see everywhere. Take red, the Gregg Wall Wine for instance. Classic because of its beautiful lines, leather sole and soft buffalo leather with a subtle print. And edgy because of the incredible red color, bright blue details and funny Hawaiian print on the lining. 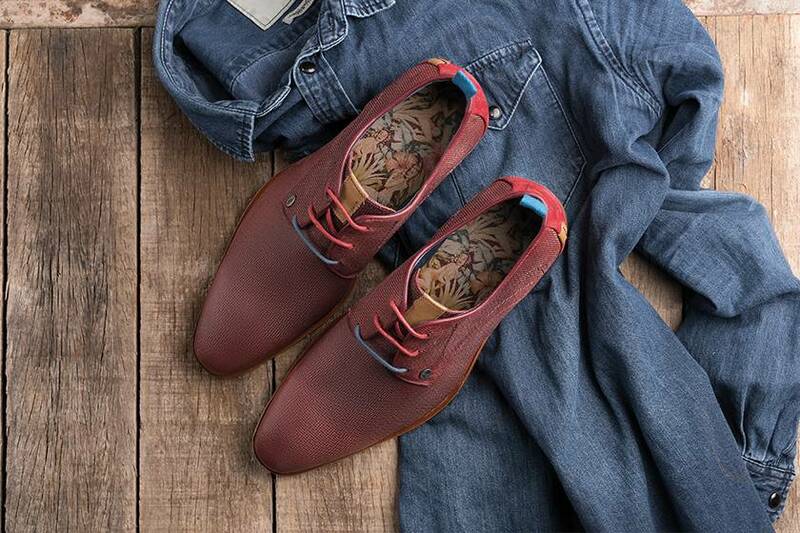 An amazing red men’s shoe that is sure to be a show stopper! Red men’s shoes are great for many occasions. Whether you’re looking to make a statement at an important meeting, have to look your best for that thrilling tinder-date, or just because you’re visiting your mother-in-law. With red shoes on your feet you always look a million dollars. Especially with Rehab’s red men’s shoes, because they don’t just look great, they’re super comfortable as well. A special midsole takes care of that, together with the rubber walking pads we injected into the leather soles. Try them on once and never take ‘m off! The way we create our shoes ensures their durability. To keep the leather in tip top shape for all that time we created a special maintenance kit. That contains everything you need to keep the leather soft and supple, to nourish it and to protect it from stains. That way you know your shoes will last you for a long time! > REHAB World - Blog > Red shoes: for guys with guts!